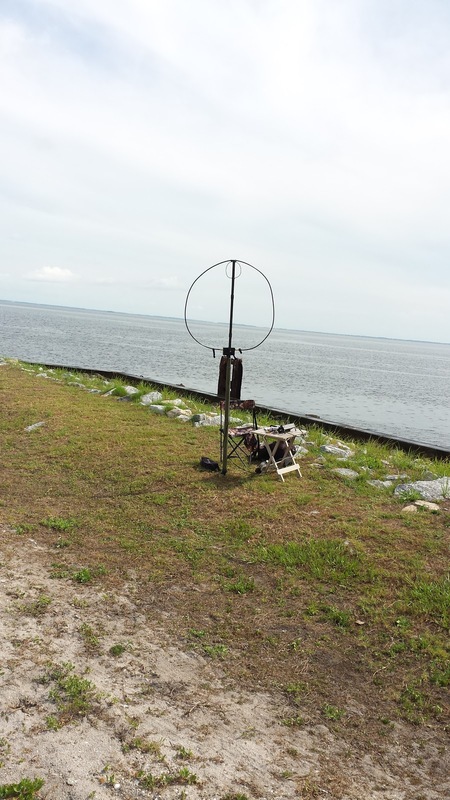 My Rapid Deployment Amateur Radio (RaDAR) adventure this time was to the Port St Joe / Cape San Blas area in Gulf County, Florida. I initially identified five sites that were near the water. I was going to do all five in eight hours to test my re-deployment skills. I chickened out and did just three. 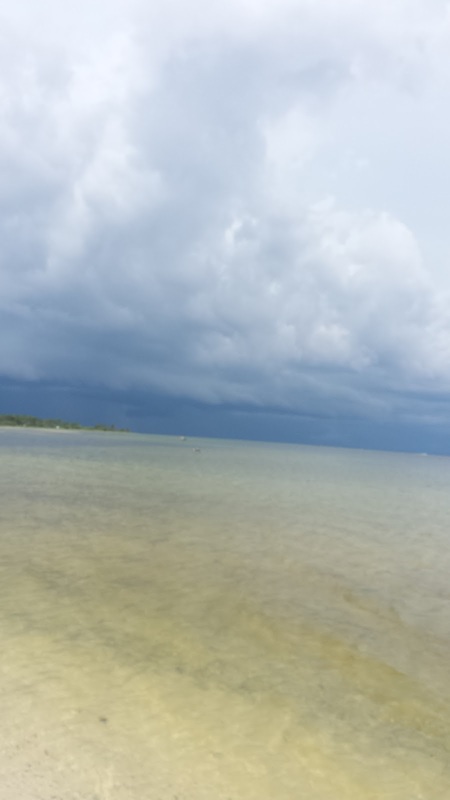 I spent the most time at Eagle Harbor area at the Cape San Blas State Park. I sat within a few feet on water. It kept rising and I had to scoot back. My first QSO was K4ARQ in Tallahassee. That was good NVIS on the Alexloop. Then I switched to a 100 foot wire fed with 9 to 1 unun. I worked VA, FL and GA on SSB. 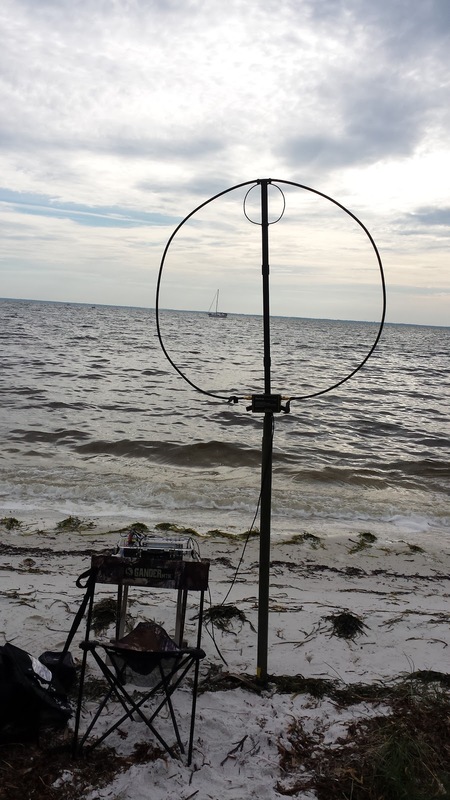 I got a glowing report from KB8OTM in Lake City FL. Then I switched to 17 SSB and still on the 100 foot wire. I got MI, FL and IN. 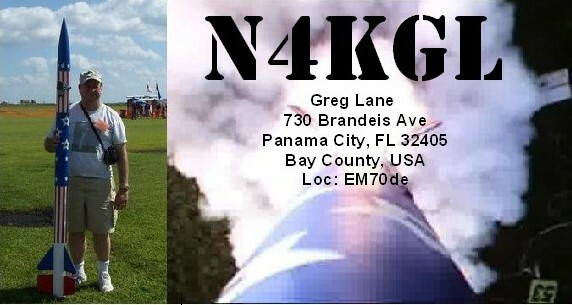 The Florida contact was Bob KK4DIV from 45 miles away in Panama City. He was weak but got that he was 5 watts portable. That is quite a close in contact for 17 meters. Next was LY1G Lithuania on 17 CW. I had a good run on W1AW special event stations. I got W1AW/7 Wyoming on 17 SSB and 15 SSB. Then I got W1AW/0 MO on 10 SSB and 10 CW. I returned to the Alexloop and worked KF5RAU. He was running a 1/2 watt on a Rockmite. Awesome! 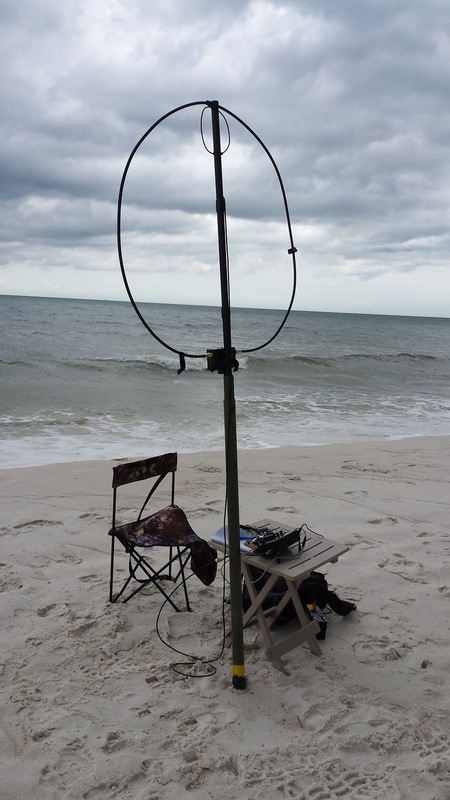 I also worked KC9WY0/0 who had a 11 year old CW operator doing a great job. 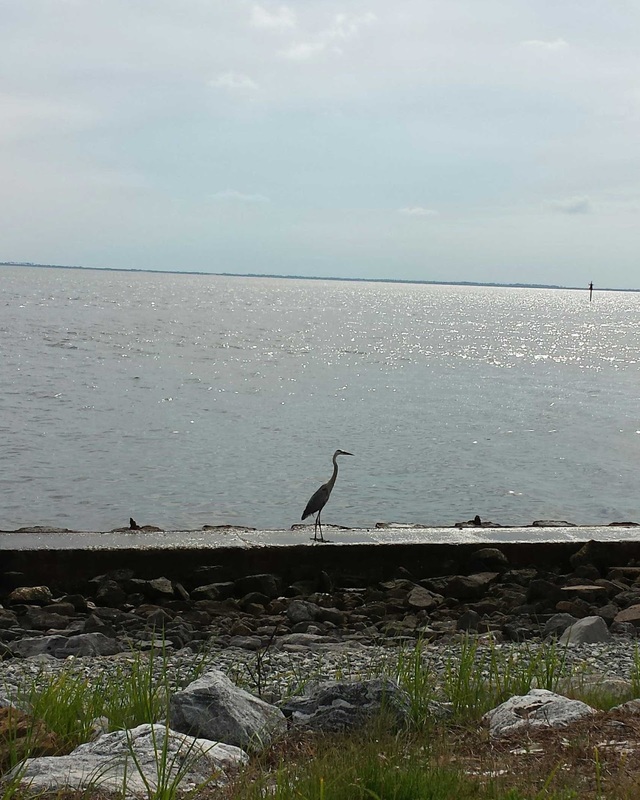 I decided to go to the beachside of the park with Alexloop. I worked VE4AKI in Manitoba on 17 meter SSB. We both were 10 watts. I also checked into the OMIS net with KK5EDD in OK as net control on 20 SSB. I got a sprinkle of rain and packed it up. It threatened rain all day but we had very little. Time was getting short and I drove back to Port St Joe area to Jetty Park. I got one last QSO. It was AF5U in Dallas, TX. A great day and not overly hot. There was pretty good crowd taking advantage of the water at all three sites. Florida in May is hard to beat! Eagle Harbor at the State Park. The wind was kicking up some waves. My favorite picture of Eagle Harbor when the winds died down. Great Colors.